I will be honest and admit that I did not want to see 12 Years a Slave. Oh, sure, no one forced me to buy tickets, but I still wasn’t enthused. Not in the conventional sense, where I am brimming with excitement over seeing my favorite actor/actresses leave it all on the screen, wondering where the plot will take me during 90 minutes. I knew the journey 12 Years a Slave would take me on. I expected chains, trees of keloids planted in brown backs, spirituals and devilish whips, blood, sweat, and tears commingling. Somehow, I did not foresee the tears shed being my own. As an African-American literature major, I read slave narratives aplenty. No matter how many I plowed through, the re-imagining of slavery evoked a maelstrom of emotion in me: anger, sadness, helplessness, fear, and the most shameful of all, weariness. The weariness always, always, gave way to guilt. What right did I, pampered descendant of Alabama slaves, have to feel burdened by merely reading a history that others died to make known? Every slave narrative would exhume the feelings I buried and stitch flesh to the bones of contention I had with America. I share America’s problem with its own evil: we don’t want to remember our country’s imperfections. We tell ourselves that we just saw Django, that Roots already covered this adequately, that we both read and watched Beloved. Standing in the ticket line, I argued with myself that I was tired of seeing slave movies. My quota was fulfilled because I already knew the history. 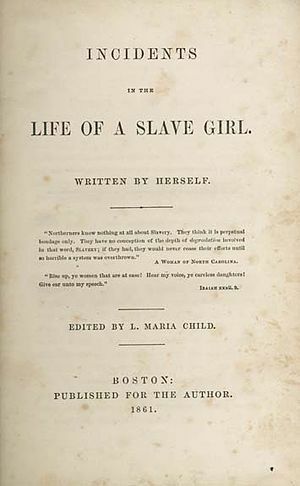 But we do not need narratives like Incidents in the Life of a Slave Girl solely for historical accounts. By the time we are of age, we know very well the ugly facts of slavery. The lifelong reason for watching and reading slave narratives is the emotional impact. This is why I went to see the movie. The 60-something year old woman sitting next to me in the theater was old enough to know that a movie about slavery would contain brutality. But that did not stop her from sighing in concert with the whip strikes. Her sighs gave way to sobs when the blood sprayed in droplets. And before the scene was over, she left the theater with her hands covering her wet face. She did not return for the rest of the movie. I might have held on were it not for her letting go. The dam in my chest burst and I cried in streams, but I did not close my eyes. I took in every pixel of that scene as Chiwetel Ejiofor bore witness for the millions who were unable to write their narratives. I gave thanks for the survivors and I mourned the dead. Last week, I had a conversation with my friend RJ about how remembering slavery is both necessary reverence and necessary pain. No matter how much discomfort watching a simulation of slavery brings me, I can never tap the surface of slavery’s true damage. I watch with a sense of duty and responsibility to carry the legacy to the next generation. If we let ourselves avoid retelling horror stories because we don’t want the inconvenience of feeling horrified, we risk desensitization to the true devastation of the past. I could have regaled you with details of Ejiofor’s superb acting or Hans Zimmer’s score, or outlined why both deserve an Oscar award. But I don’t need to review a slave narrative. You already know what it’s about, at its core. Still, I am recommending that you push past every nerve tired of the visual barrage of oppression and see the movie anyway. Don’t go see 12 Years a Slave to be entertained by a good movie; go see it to be emotionally destroyed. And let the gratitude that you can walk away from it, safely into the arms of freedom, build you back up again stronger. The way you express yourself always brings me visions of your story, and places me at the scene. You truly have a gift that you have worked , and polished. I look forward to reading your posts in the future. May God bless and lnspire you. This was beautiful. Thank you so much for reading! Well said. You should consider submitting to Liberator Magazine. The deadline is short for the current submission (Nov.1st), but this kind of post would fit in nicely. In a way this makes me think of my feelings about Schindler’s List. It was a good movie, but not in the way that means “entertaining.” It was somehow more deeply important for the unflinching look at evil and how people can fall into it and how people can walk into it willingly, and what it does to other people. Also, not to get all weird and new-agey, but I think that there is something in our cells that remembers the experience of past generations. I have a secret hysteria of running out of food that seems to come from all of my grandparents’ experiences with the Great Depression (I have never been without food in my own life), and there are other places and events tied to my ancestral history that just hit me harder than they would if they were general human history instead of somehow my own history. I’m not sure what the point of this comment is 😉 except to say that I understand what you are saying about the movie, and that I think the emotional connection you describe is very very real and not imagined at all. I was scatterbrained writing last night and I absolutely thought of movies depicting the Holocaust as a similar witness to trauma. I just forgot to write it into the post. lol. It’s the reason why we affix “Never Forget” stickers about tragedies, because in some way, the forgetting will have made the evil all the more worse. one of the things we often overlook regarding the issue of slavery is trauma and brain development. being enslaved is a traumatic event that lasts indefinitely. trauma absolutely impacts brain development. the prefrontal cortex (the brain’s executive function) is stunted. the trauma leaves folks in a perpetual fright or flight state. we inherit the state of our brains from our foreparents and genetic memory is real. One of the best ways of healing from trauma is the telling and retelling of one’s story till the power of the experience becomes controlled by the person traumatized. by not telling/retelling our story,we do ourselves a disservice because we are not able to heal. we are blessed to have a Black director who sees the humanity in us and give a nuanced recount of our story with respect, compassion and empathy. I chose to not see “the help” or “django” because i do not like my story being treated as a comic book or as badges of honor for “good” white people. watching 12 years a slave was an emotionally draining experience. i was to drained to stand for some time. the scene when solomon northrup must whip patsy or lose is life in a tableau of the insanity that permeates the humanity in america. the white woman who challenges her husband’s masculinity based on his ability to dehumanize another human being who she envies and despises because she knows, even if her husband doesn’t understand that he loves that enslaved woman; to the enslaved man who must brutalize another human being who looks like him or be killed; or the white man who cannot do the dirty work of the institution that guarantees his livelihood and must threaten another human to do it; and finally the enslaved woman whose existence becomes the focal point for all this just because she wanted to maintain her dignity as a human being. The movie was amazing and devastating and your comment is 100% accurate. So much thought to it. I could comment on how well this blog was written and how descriptive your review of the movie was, but what struck me was the message. As a Nigerian, i will confess, i did not realize I was black until stepping foot onto America. I became a black female instead of the tribal description i wore back in Nigeria. As years went by, school taught me about the existence of slavery, friends taught me that you were put into a certain hierarchy if you are black with a lot of white friends , and the environment taught me about race and favoritism. Overall, i think all this things are connected. I am glad you mentioned how “remembering slavery is both necessary reverence and necessary pain.” I may never be able to put myself in those slaves shoes, but what i can do is relate to my brothas and sistas, because like i said, i became black once i came to America. I appreciate your perspective so much. I cannot articulate beyond my experience as a person of African descent born in the United States. That is my heritage and my reality. But I did not realize that I was of “African descent” until I met Africa. It astonished me that I could potentially fly to another country and, absent of cultural markers, see people who looked like me. I am struck by the connectivity of the Diaspora; despite our many differences, there are similarities that remain and yes: that makes us kinfolk. Films like this are vital. Jews retell the Egypt story and the Holocaust horrors to empower and unify their people. Africans throughout the diaspora are connected by a web of unspeakable pain and triumph against all odds. 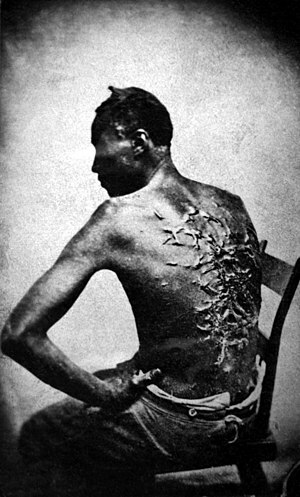 The continued expressions of bigotry, which allowed for slavery’s perpetrators to at worst be celebrated as founders of democratic america and at best remain anonymous, must be challenged by narratives of a people who faced the devil and won and continue to do so, until once and for all the devil’s false narrative ends in the most ignoble of deaths. Yes, this! The fact that we are able to retell (some) pain, as opposed to it still being enacted upon us, is in itself a triumph. There are few things more insidious than revisionist history. To allow our ancestors’ stories to lie dormant under our tongues is to sentence our children to certain ignorance of their history. For who else will tell it right? Due to the persistent prompting of one of son’s male elders, I jumped in feet first and took him to see it on opening weekend. Our Ancestors provided a gift for this act of faith and obedience. I was seated next to a descendant of the plantation class who insisted on polite conversation before the previews. She eventually spoke across my person directly to my son after asking me his age. She said to him as if he should provide a judgment, “This movie is going to be very violent.” I turned to my son in shock of her arrogance in addressing my son, my tribute to my Ancestors without my introduction. In the wisdom of Eshu, my son simply smiled at her. At the end of the film, I told her that she and her Ancestors created a reality where mothers of boys with melanin must never hide their children from the violence of truth least they be fooled like Solomon and believe that the mutated man, in his state of greed, is their friend. I ended the exchange with a demand that she tell all of her black female friends to bring their sons to see this film. Her response was a repeated, “I got it….. I got it….. I got it……….” Maasai, my son, and I cried all the way to the car. Our tears were due to my distress that she violated my parental space and spoke to my child as if she shared some responsibility for him and his world view as it would be shaped by this film. Her fear that my child would see this truth and retain in as a part of his judgment about humanity compelled her to cross a boundary erected by the Emancipation of my ancestors. Yet, she crossed the line very comfortably. She demonstrated the continuing relevance of the theme of fear, oppression and discrimination before the film even started. She was life imitating art imitating life in one brief moment, one sentence and, eight short words. Wow, this was deep. Thank you for commenting. How awful that must have been! The only thing I can say….. Thank you. Thank you! And I hope you enjoy “12 Years a Slave,” as much as anyone really enjoys a movie about slavery. And thank you so much for sharing it. Suprisingly, I was able to hold it in during the movie. I was more annoyed with the overtly racist scenes – like when they were selling the slaves & the white man made the little boy kick his knees up, “step & fetch” if you will and when Patsy was being raped. It amazed me how many white people were in the theater, because I do have a hard time dealing with them immediately after seeing this movie. We are not that far removed from any of this. I plan on blogging about it soon…. The whipping scene is what got me. I was good until then and until I heard the lady crying in the theater…I just couldn’t. wooo. I’m glad white people do go; they need to, as much as we do. O_0 *dead* you just had me howling LOL. I chose to avoid Hollywood’s latest homage to the peculiar institution. I was also an English major and read my share of slave narratives. I even received a fellowship one summer to study slave narratives from my home state of Virginia. It contributed greatly to the insomnia I still experience some 20 years later. There are so many other films written by AA worth screening in the cinema, and we should demand Hollywood explore those other choices. We do not have to be a slave to their guilt. Sometimes I wonder if reading or viewing narratives is empowering or if it indeed makes us participants in the exorcism of guilt. I do believe we need to remember our history. The way black people are portrayed in any form of contemporary propaganda is important and needs to treated with care. 12 years wasn’t and still won an Oscar. But I’m not suprised. Now they want to show it in US schools. I’m a bit suprised about that. Anyways, at least Django left us with a little bit of dignity. The lesser of 2 evils in my eyes. 12 years was a terrible harrowing reminder. The reality is, what actually happened was 100x worse. Yeah, it’s a tight spot. Some visuals are helpful to illustrate a point, but it’s an awful one to relive.